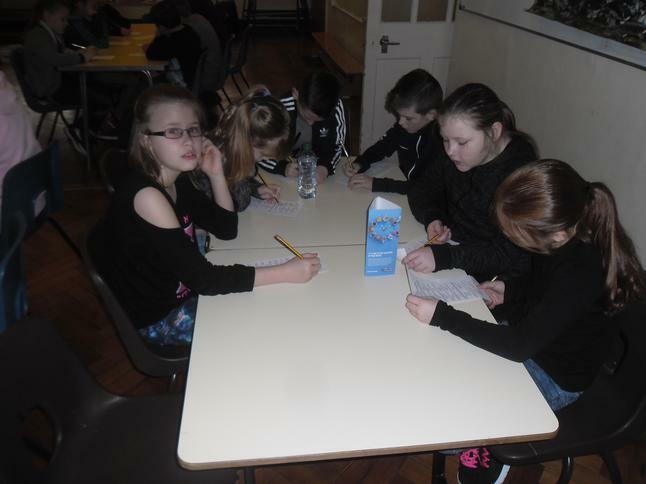 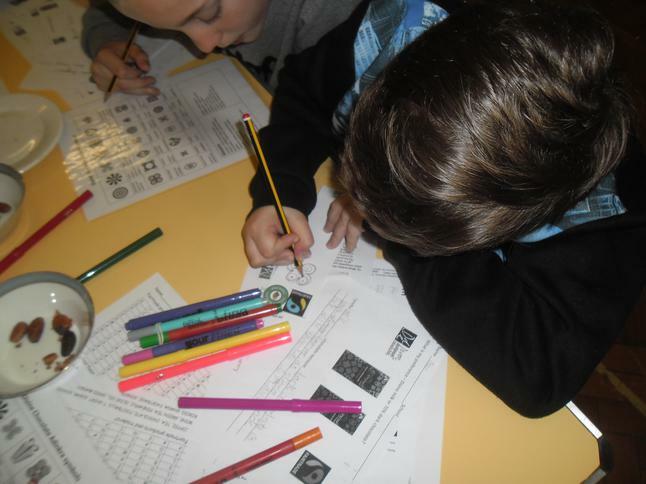 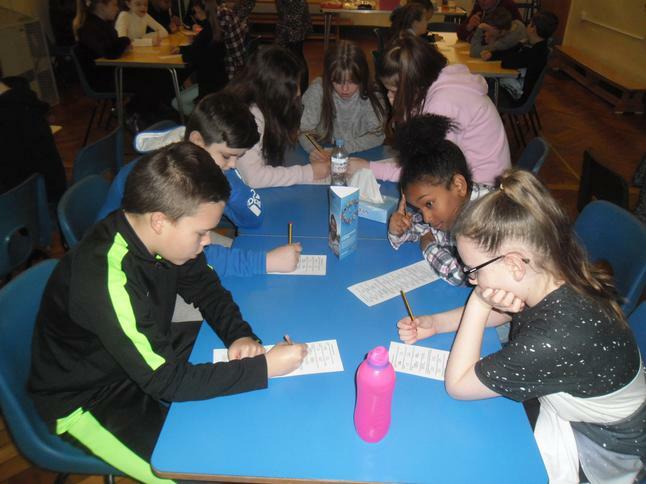 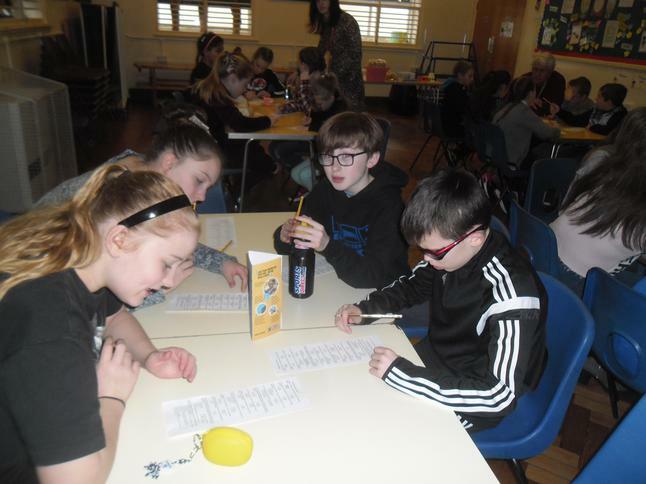 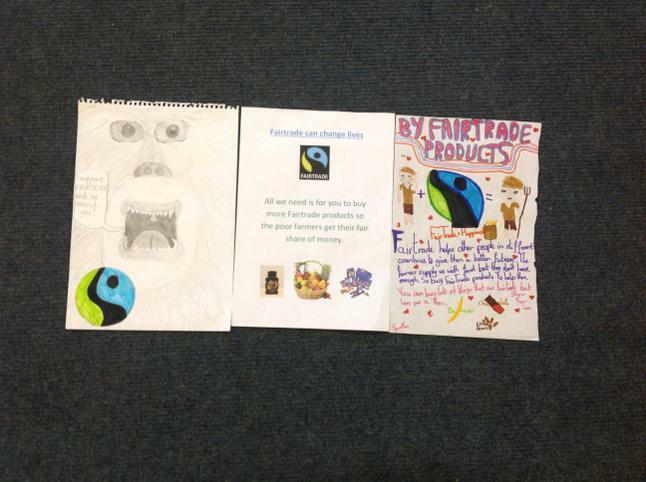 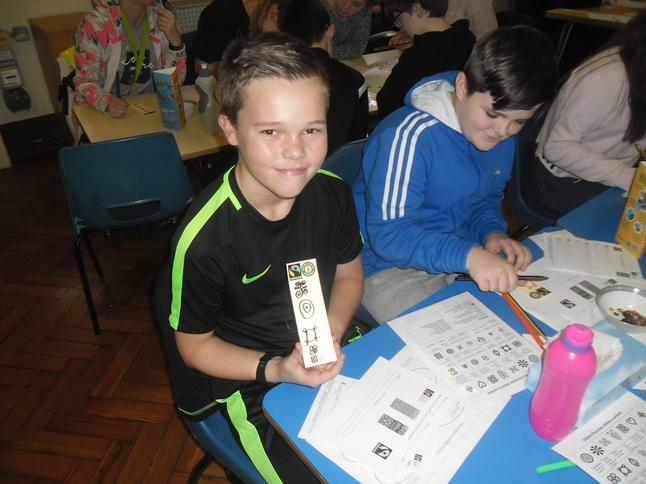 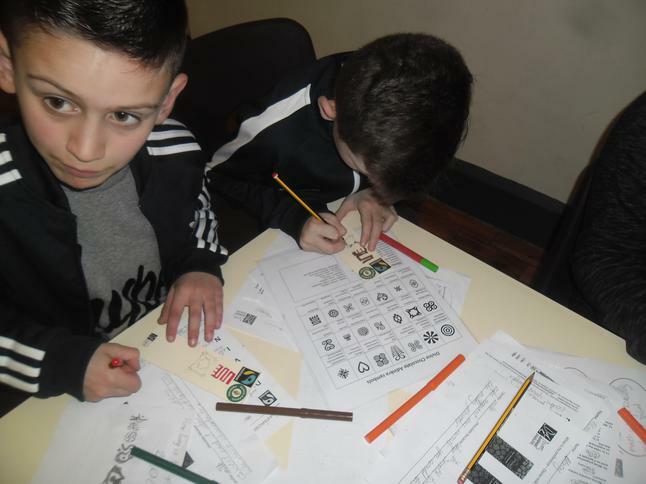 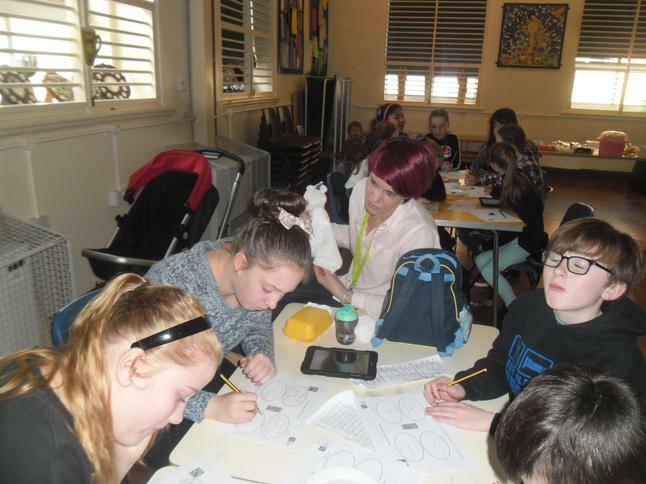 Year 6 attended a Fairtrade conference on Friday 10th March about Divine chocolate. 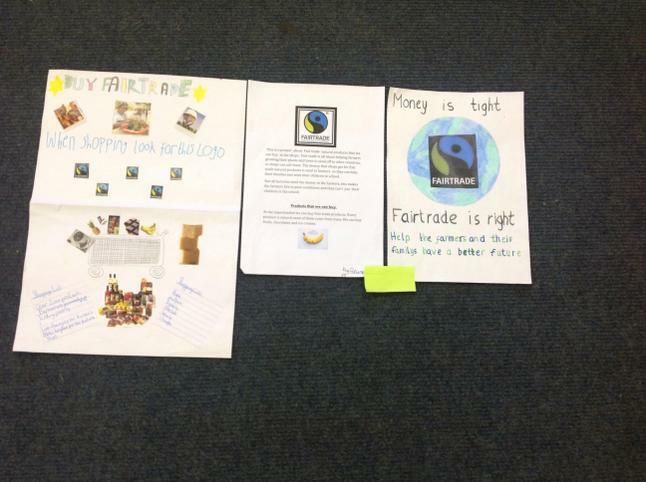 Only 1% of the cocoa beans grown in the world are sold through Fairtrade. 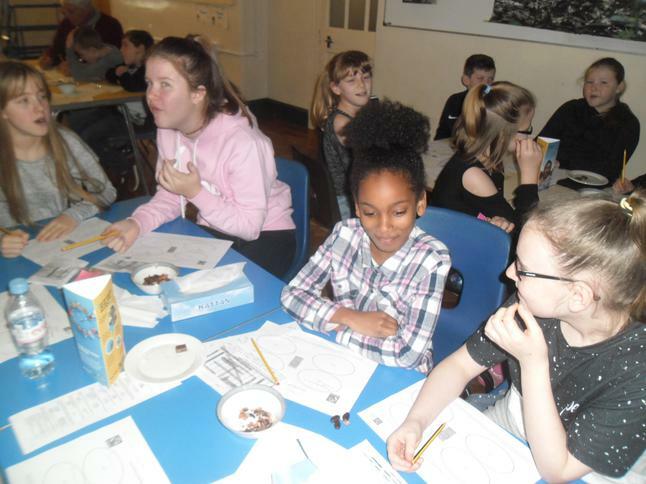 They learnt how cocoa beans were produced in Ghana and how a co-operative of 85,000 farmers got together and now produce cocoa beans for their own chocolate. 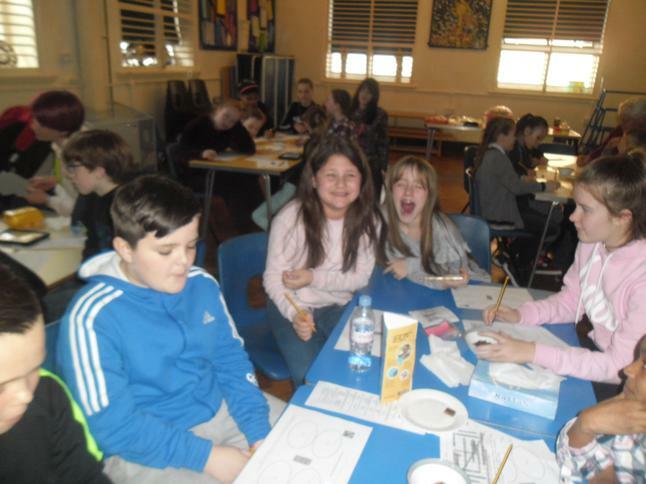 This is called Divine and it is produced in Switzerland. 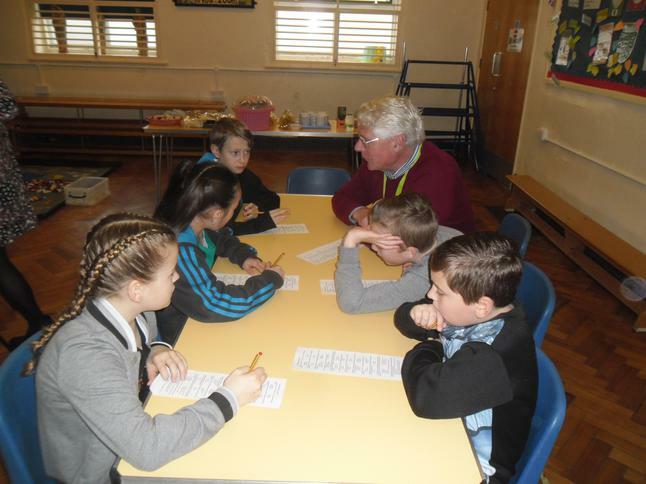 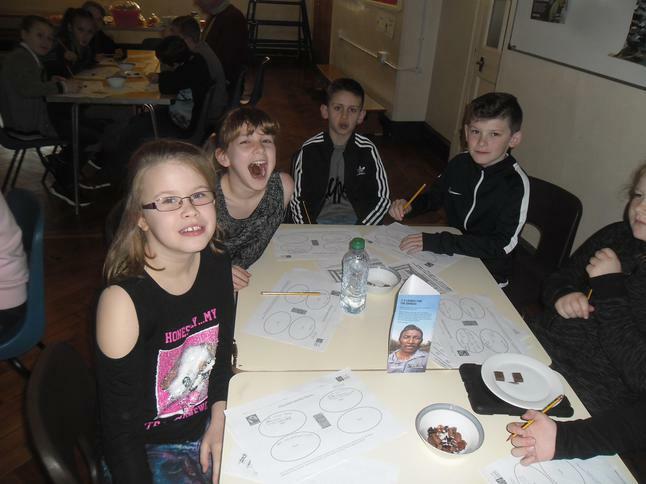 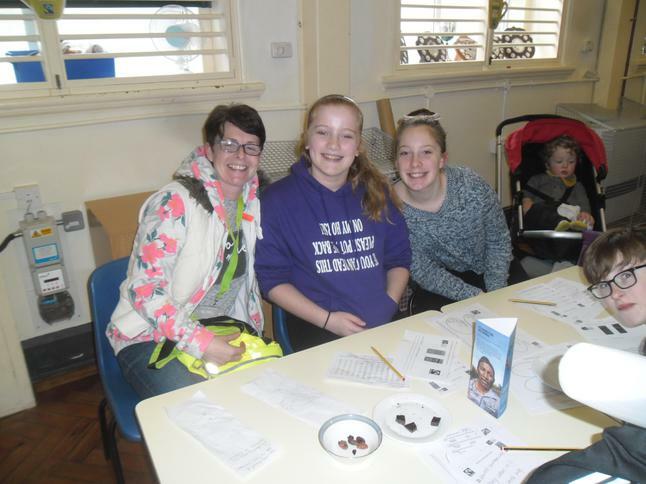 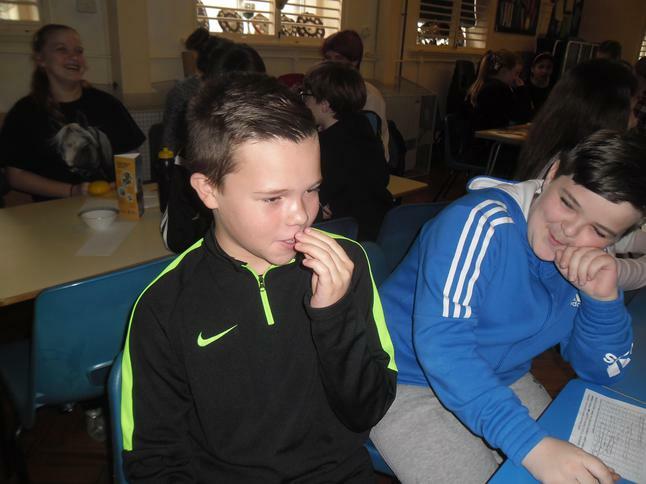 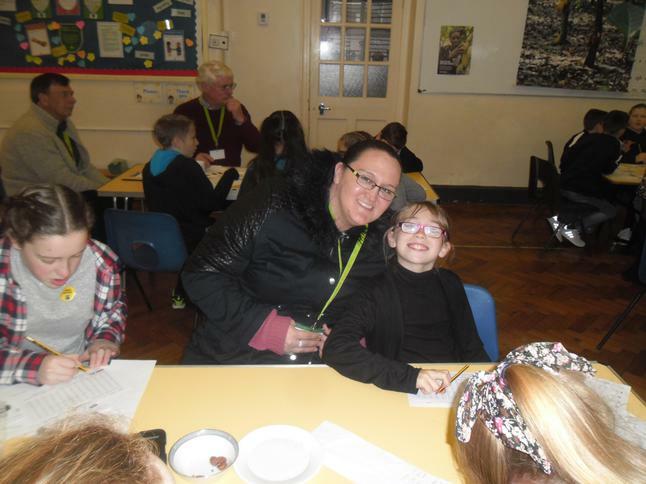 Parents joined the pupils for the conference and a 'good time was had by all' especially the chocolate tasting. 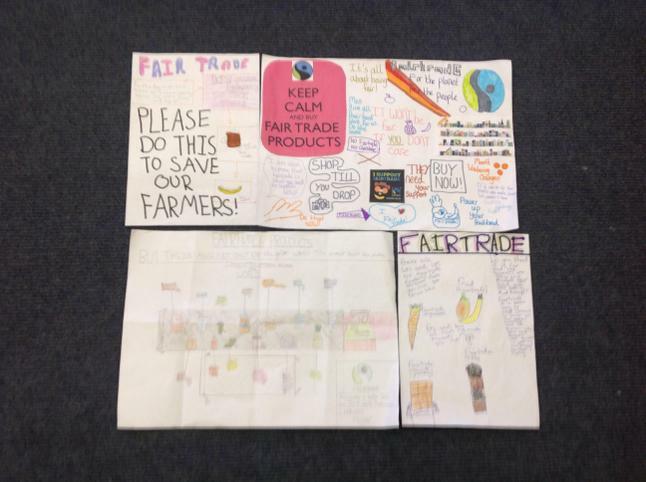 The winners of our fair trade competition March 2016. 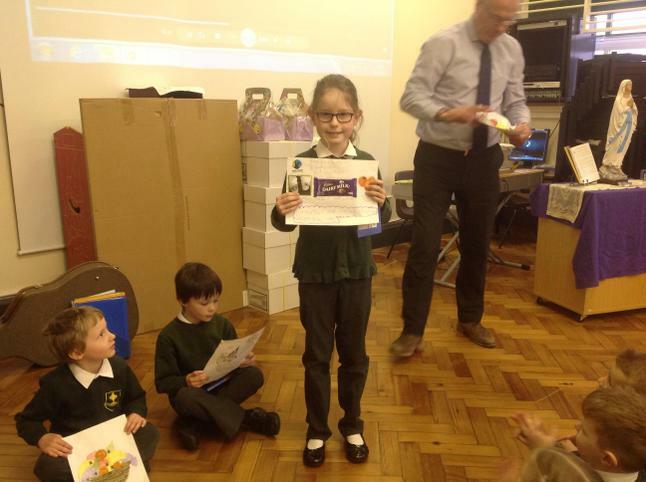 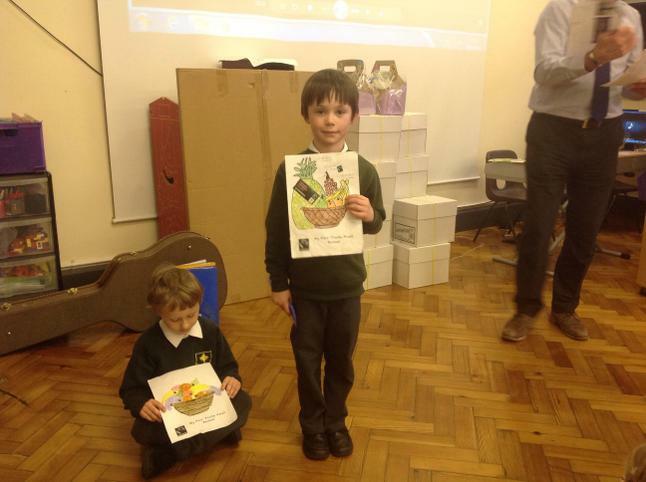 Congratulations to the winners of our Fairtrade competition. 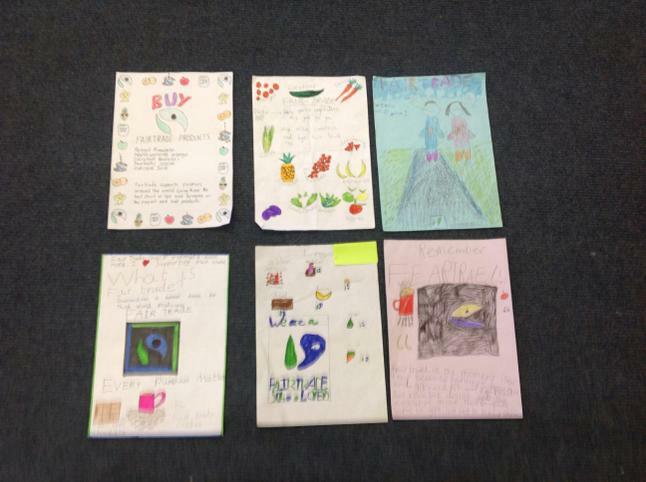 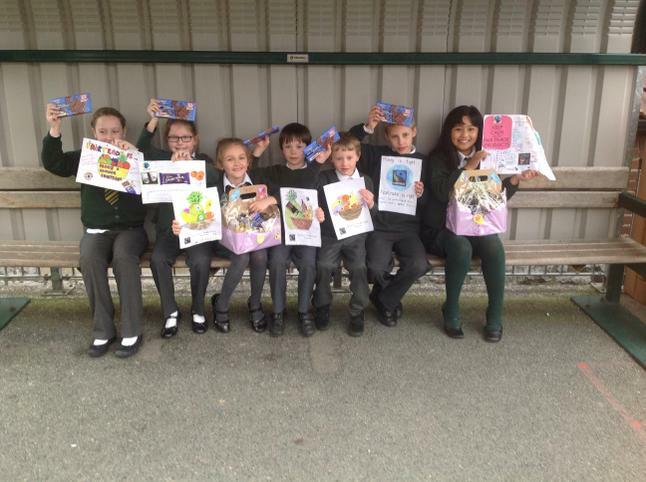 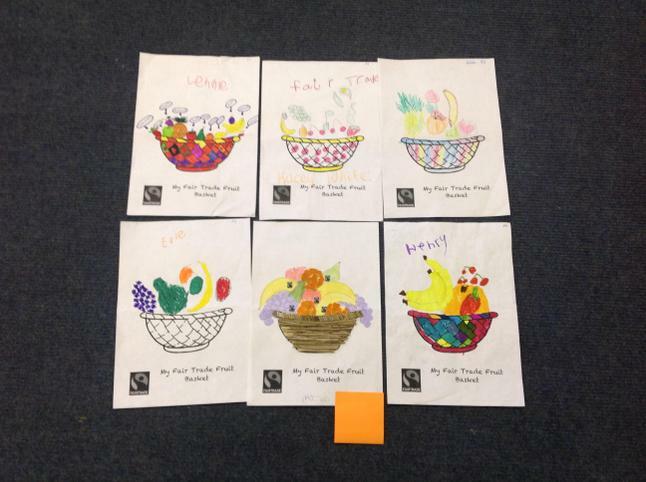 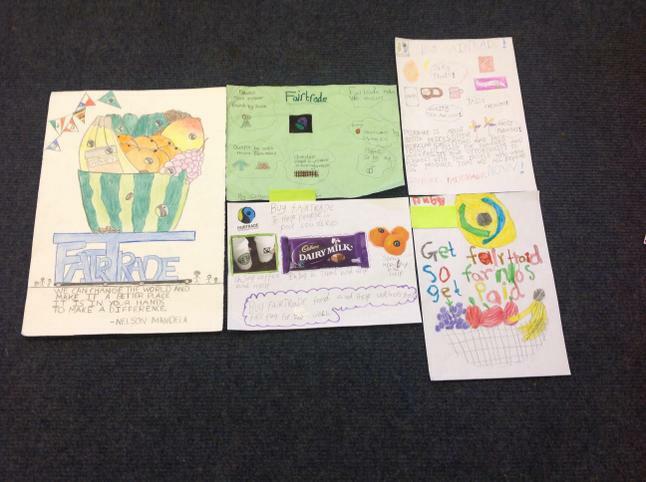 Look at the wonderful entries to our Fairtrade fortnight competition. 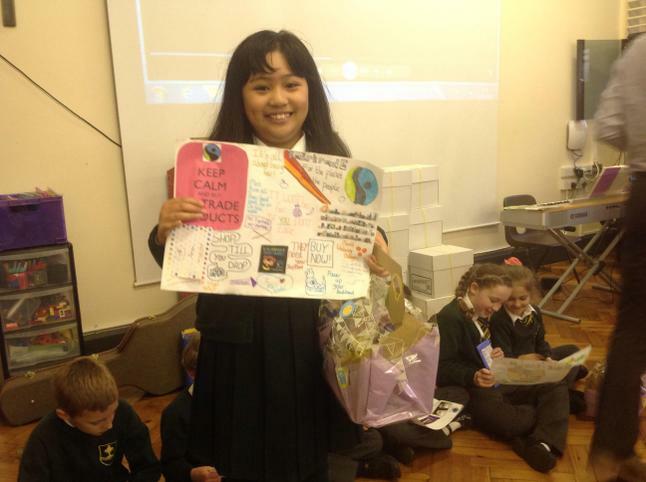 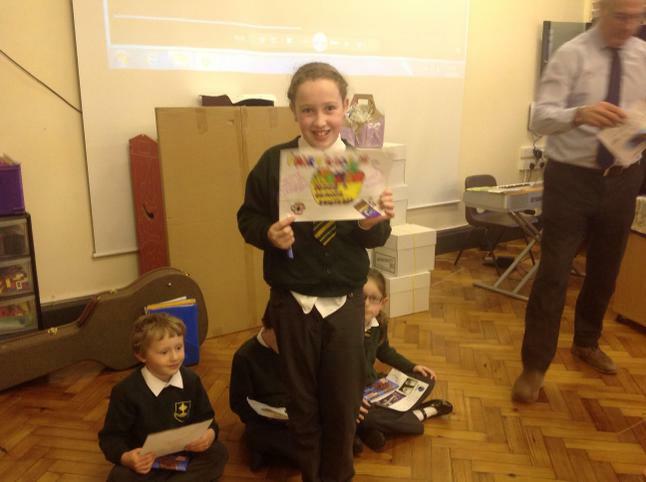 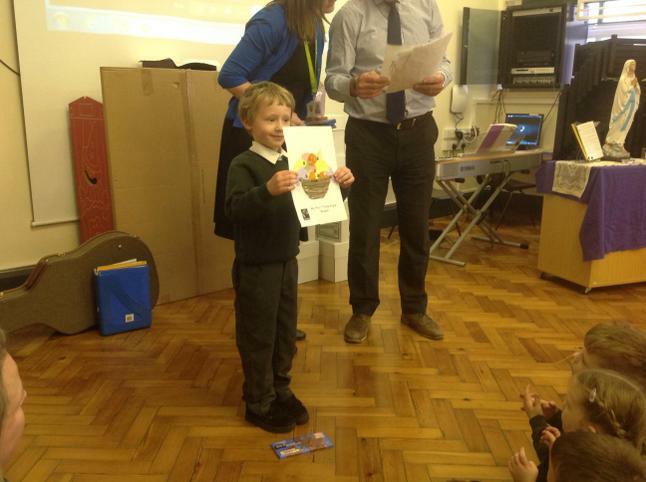 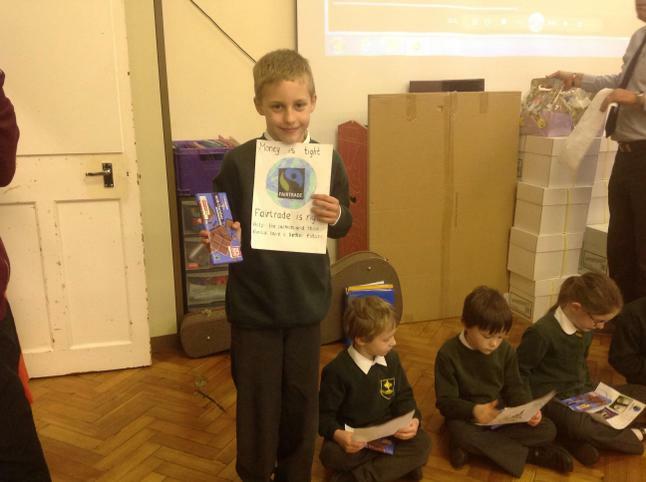 Keyham Barton gains the FairAware award which recognises how our school promotes fairtrade. 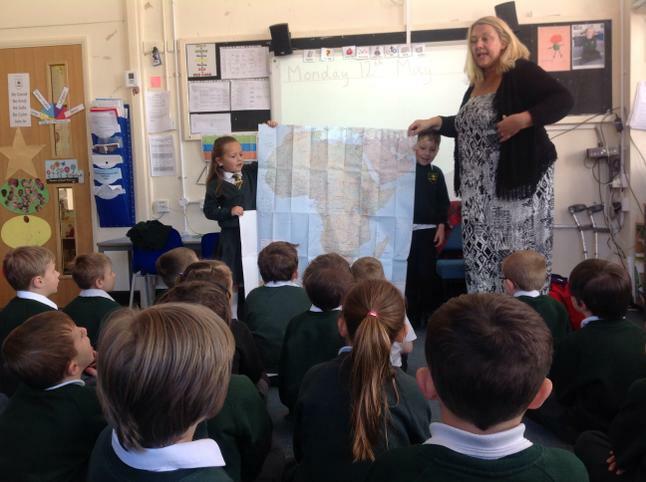 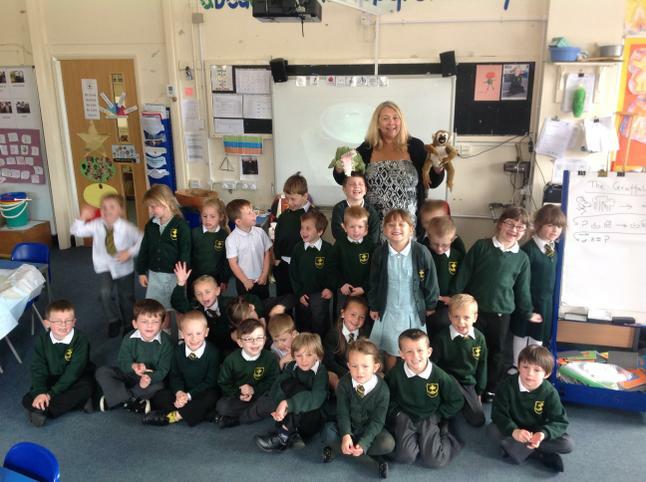 Year 1 had a visit from Debbie Williams who runs the Orchard school in The Gambia. 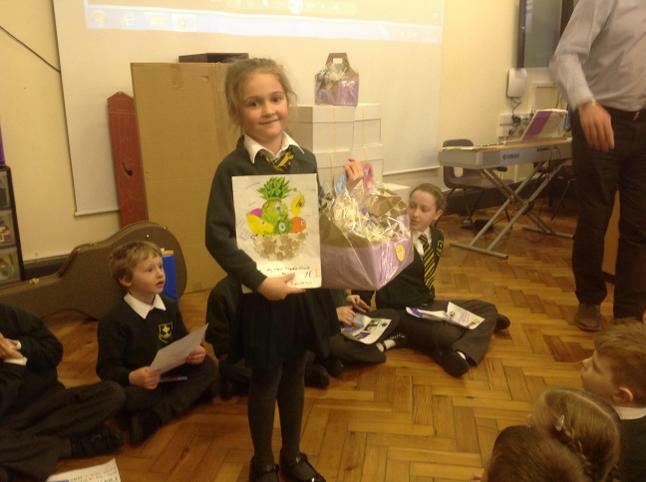 She spoke to the class about fairtrade bananas. 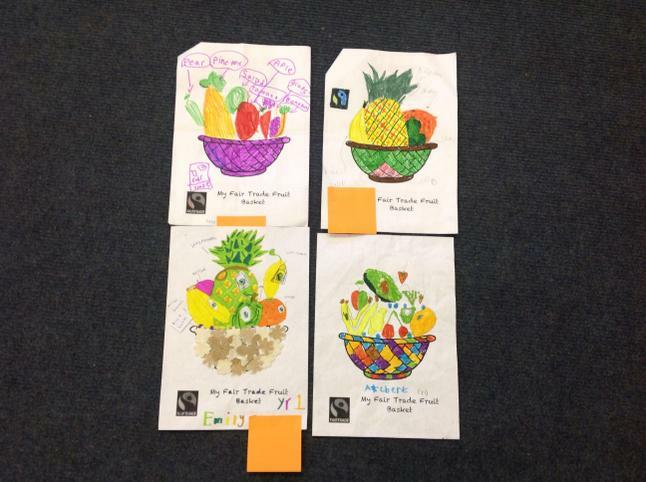 Look at what years 1 and 2 found at the Eden Project. 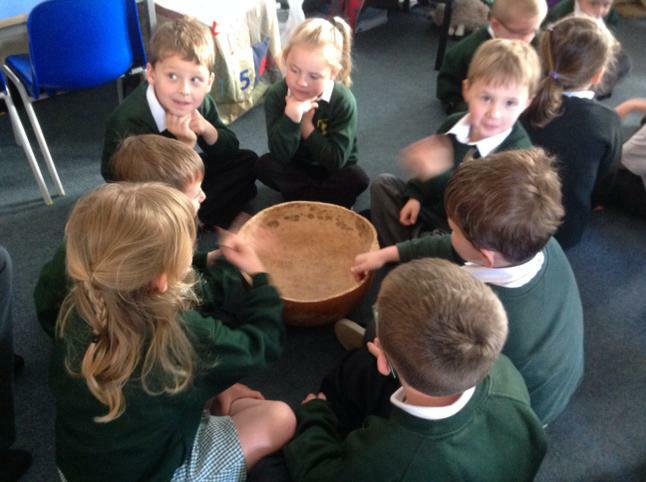 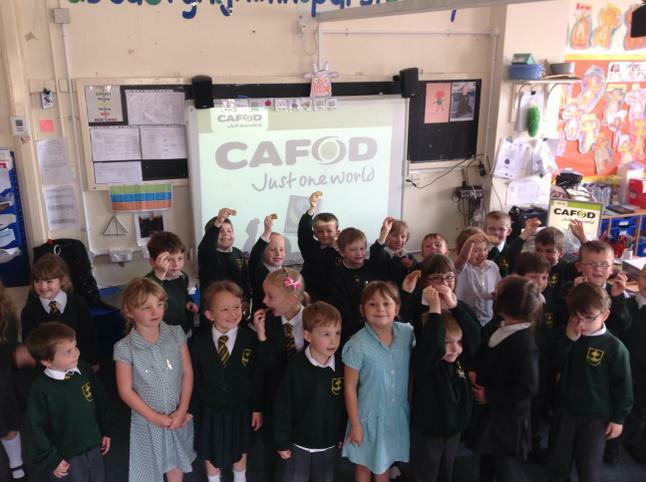 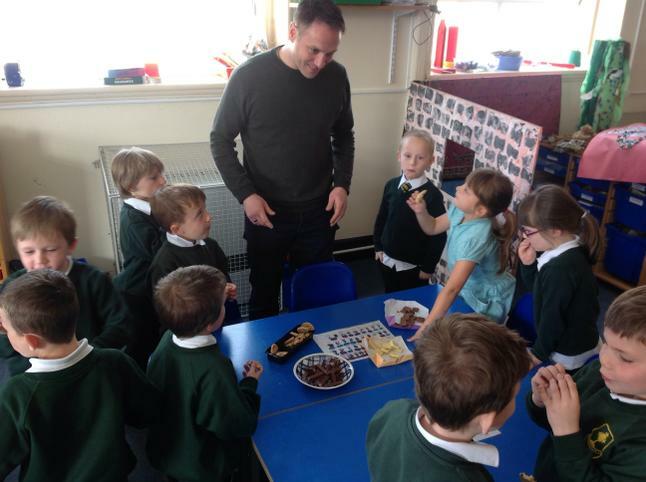 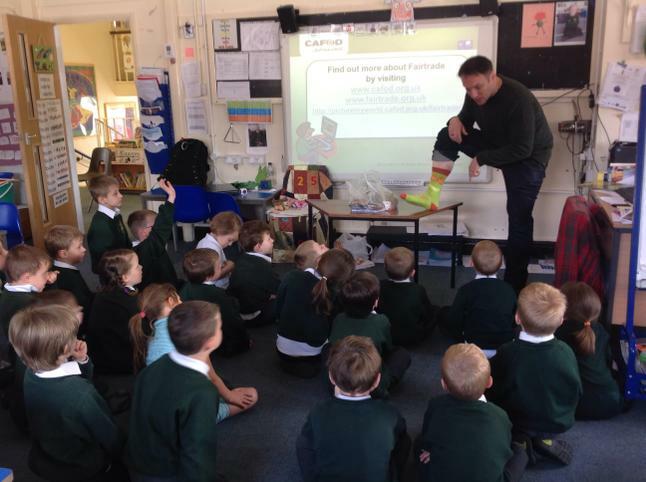 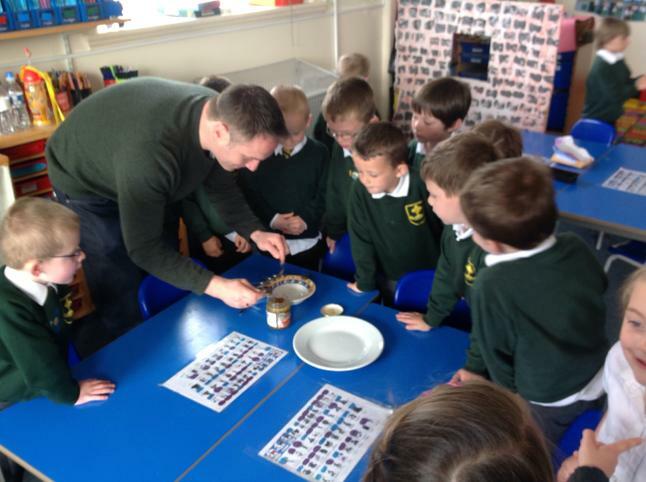 Simon from Cafod came to talk to Year 1 about how fairtrade helps farmers in Africa. 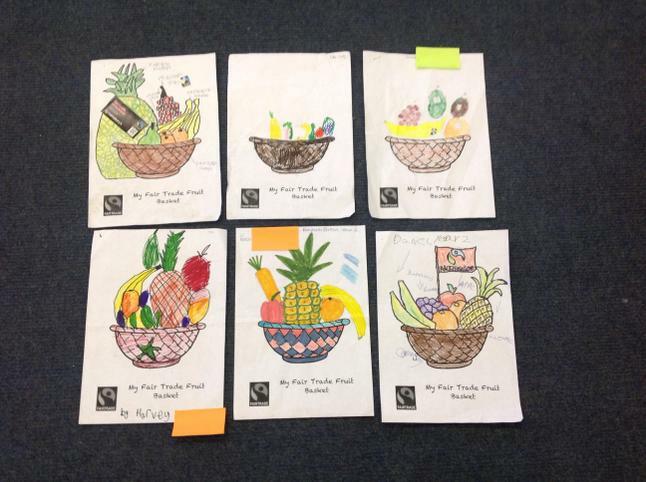 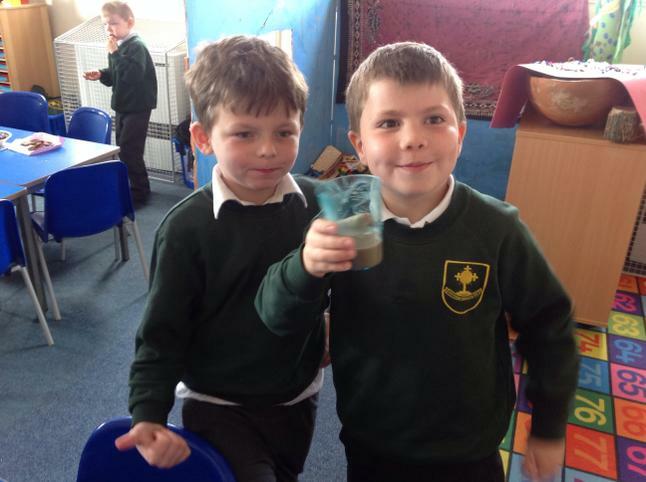 We enjoyed our fairtrade meal today! 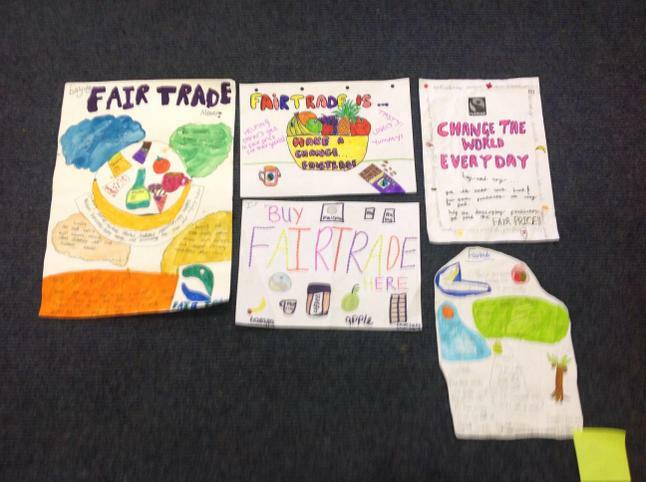 The steering committee attend the Plymouth Schools Fairtrade meeting. 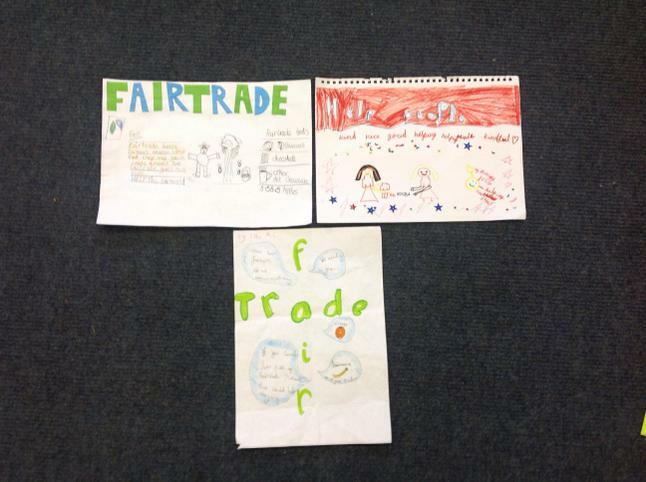 The Fairtrade steering group went on a fact finding visit to the local co-operative store. 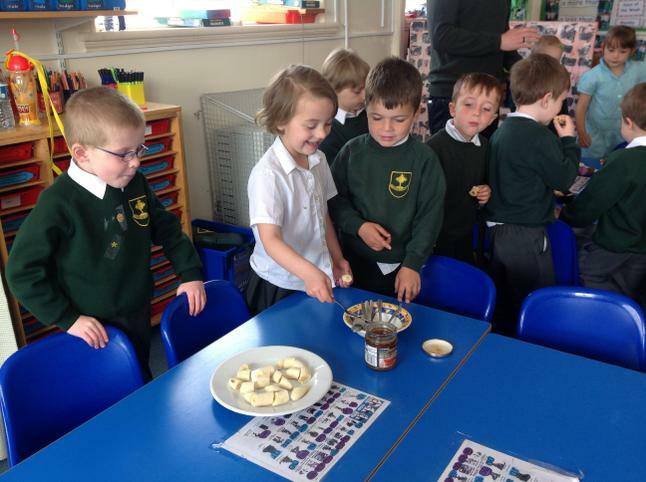 Making fairtrade apple crumble using local KGP apples.